And yet, it’s everywhere: covered in Vogue, worn by street style stars like Chiara Ferragni and Miroslava Duma, stocked everywhere from Net-a-Porter to Nordstrom (really! ), and an LVMH Prize finalist. Vetements’ leader, Demna Gvasalia, was named Balenciaga’s creative director after Alexander Wang stepped down; he debuts his first collection Sunday, March 6th. The fashion industry is all in — but what, exactly, is Vetements? First things first: Vetements is pronounced vet-MAHN and it’s French for “clothes.” Very straightforward. 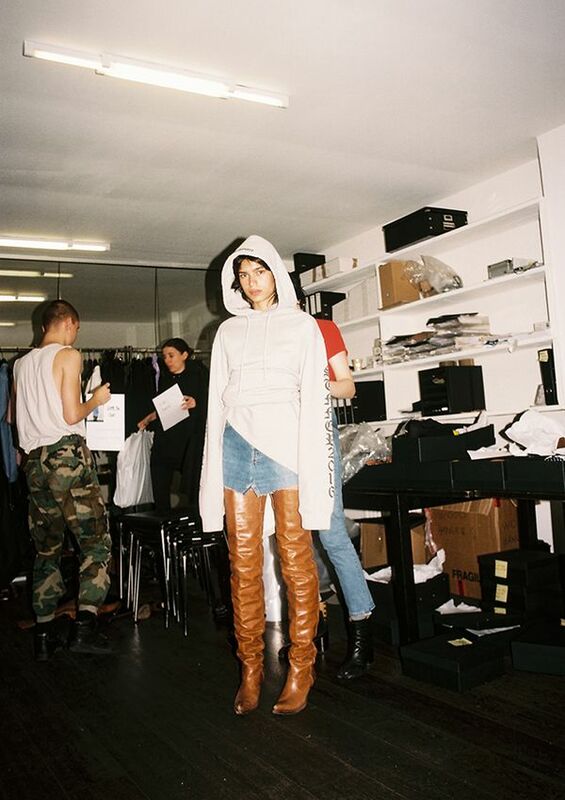 A little less clear: Who is actually behind Vetements. We know its head designer and public face is the 34-year-old Gvasalia, but the rest of the collective remains totally anonymous. Gvasalia’s professional background includes senior design roles at Louis Vuitton.